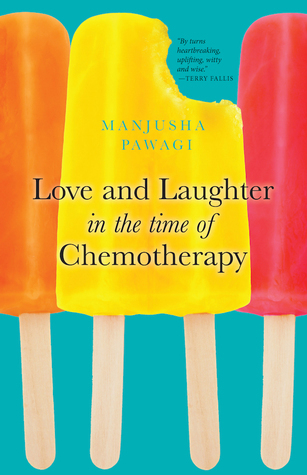 Love and Laughter in the Time of Chemotherapy by Manjusha Pawagi has humour and a lightness in it for such a dark topic. I found it very easy to read and very quickly become absorbed in it. This is Manjusha’s story of her cancer – Leukaemia. There is disbelief initially followed by a long process of treatment. This includes a full stem cell transplant which I found very interesting. The lack of donors on a worldwide basis apparently leads Manjusha to campaign for awareness. However the treatment is no panacea and there are real dangers involved. There is enough medical information about both the treatment and the condition to satisfy those who are interested. However the key aspect of this book is how Manjusha felt about the impact and the things that happened to her both minor and major. The story is told in a very matter of fact way. Manjusha manages to create the feeling of real surprise at times. She also comes over as a very real character. In the end this is an extremely personal story and it is hard to criticise the open honesty of her writing. It should be of interest to many people who have involvement with this type of cancer and its treatment.